Buy Online Now! - Grates Rock Concert Posters and Memorabilia. The Grates are a three-piece formed in 2002. They were brought to national attention when a demo of their single, “Trampoline” (2004), received airplay on radio station, Triple J. Their first two albums, Gravity Won’t Get You High (2006) and Teeth Lost, Hearts Won (2008), both reached the ARIA Albums Chart top 10. 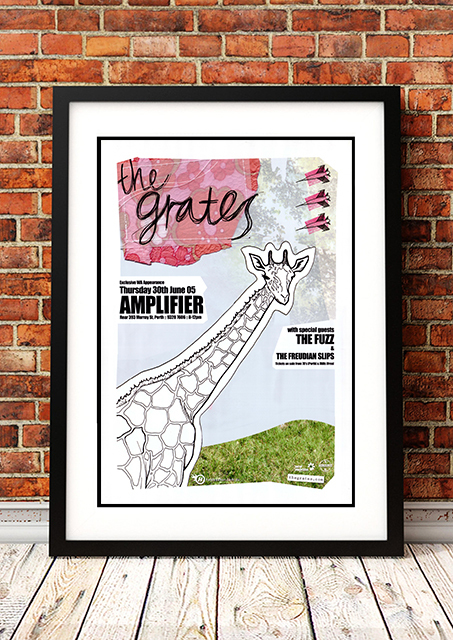 We stock an awesome Grates Concert Poster from their Australian Tour in 2005.